Owning your own business is challenging enough without having to worry about your fleet. That’s why Tracker developed a state-of-the-art vehicle monitoring system which informs you of offences such as speeding, harsh braking and entering high risk areas to name only a few. This intelligent business system helps you make informed decisions which affect your bottom line. 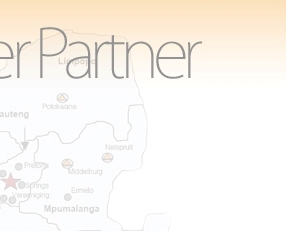 Tracker Fleet is approved by major insurers and motor manufacturers with capabilities in neighbouring countries such as Lesotho, Swaziland and Mozambique. Determines the precise location of vehicles at all times via the Internet. Manage vehicle trips remotely and in near real-time via the Internet. Receive notification of vehicle usage exceptions via sms and e-mail. Ability to replay trips for improved usage understanding. The solution is enabled by GSM and GPS technology. Upon request, technology allows for roaming if the vehicle travels outside South Africa. Private use of company vehicles. With its many advanced product features, Tracker Fleet is specifically designed with your Fleet as its top priority. Tracker Fleet is always active as it communicates with our Secure Operating Centre every two to three minutes. In the event of an emergency, the reporting frequency of the device can be increased. Tracker Fleet operates with Global Positioning Satellite (GPS) technology, which means that we can locate your vehicle within an accuracy range of just five meters. Tracker Fleet automatically provides an advance warning notification to Tracker’s Secure Operating Centre if the vehicle moves with the ignition off or if the power supply to the device is interrupted. Tracker Fleet comes with an optional assist button that allows you to request for remote assistance. Tracker Fleet is web-based so you can locate your vehicles online, any time you want, at no additional cost. Tracker Fleet provides a report on your vehicle trips, a valuable tool for motor insurance and business mileage claims.